The only Porsche Exclusive Manufaktur Dealer in California! Located in Mill Valley, California, in Marin County just north of San Francisco’s Golden Gate Bridge. We offer a great inventory of Porsche vehicles with excellent financing and leasing programs. 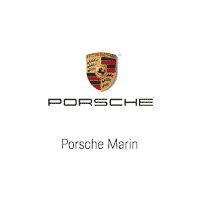 Porsche Marin reaches worldwide with our Porsche Parts distribution. Our Porsche Service Center is the most qualified in the San Francisco Bay Area, with over 80 years of combined experience and expertise. Excellent service from parts department, wonderful staff.